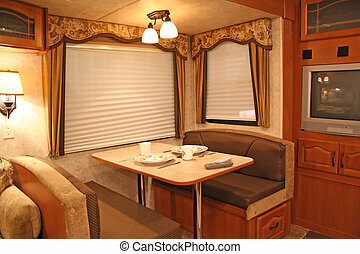 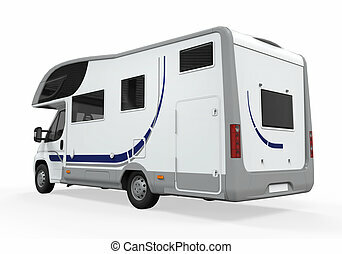 Car trailer rv camper camping. 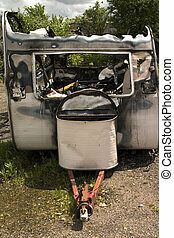 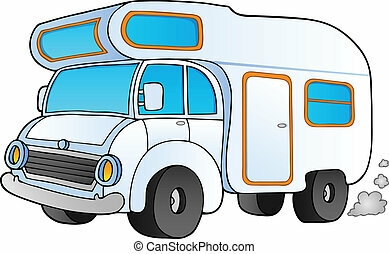 Car, trailer, rv camper or camping clip art in retro or vintage 1940s or 1950s cartoon line art style. 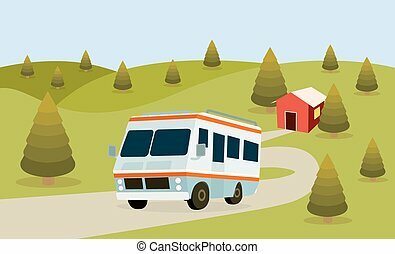 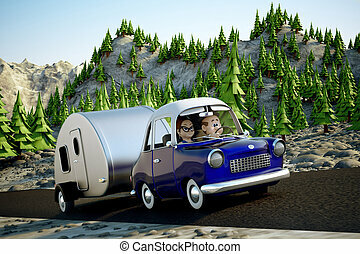 Cartoon camping van - vector illustration.